TUESDAY, Nov. 20, 2018 (HealthDay News) — For Americans with diabetes, high-deductible health insurance plans may lead to delays in diagnosing and treating dangerous blood vessel diseases, a new study suggests. “People with diabetes in high-deductible health insurance plans compared to people with diabetes without high-deductible health insurance had delays in care for macrovascular complications of a month to three months,” said the study’s lead author, Dr. Frank Wharam. He’s director of the Harvard Pilgrim Health Care Institute’s division of health policy and insurance research. Macrovascular complications are problems related to large blood vessels, such as those leading to the heart and brain. These include heart disease, stroke and peripheral artery disease — a condition that affects blood supply to your limbs. Wharam said his previous research has shown that a delay for certain problems could lead to serious complications. “If you have a skin infection and go to the doctor on day one, you could be walking out with a bottle of pills to treat the infection. If you wait till day seven, you could end up hospitalized,” he explained. “This study shows once more the problems we have in our health system. Deductibles are another barrier to treating diabetes and cardiovascular disease,” said Zonszein, who wasn’t involved with the study. “Patients are benefitting less and less from insurance, and we continue to treat the complications of diabetes instead of paying for prevention,” he said. Wharam said if your employer offers you a choice, or you have options on your state’s health care exchange, look closely at what your costs for each plan will be. 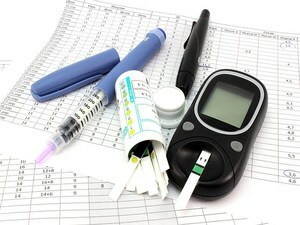 He noted that people with diabetes often have a lot of health care costs. So it might make more sense to pay a higher monthly premium to lower your out-of-pocket costs from deductibles and copays. But it depends on your particular situation. Whatever your health care situation, Wharam said if you need care, you should get it. “If you have diabetes, our study shows there’s a delay in care. It might be conscious or subconscious, but there’s a delay. Patients should seek care [without regard to] the cost,” he said.